The axe is a quintessential zombie-killer, and an axe of any size remains a solid choice for the survivor to turn to. 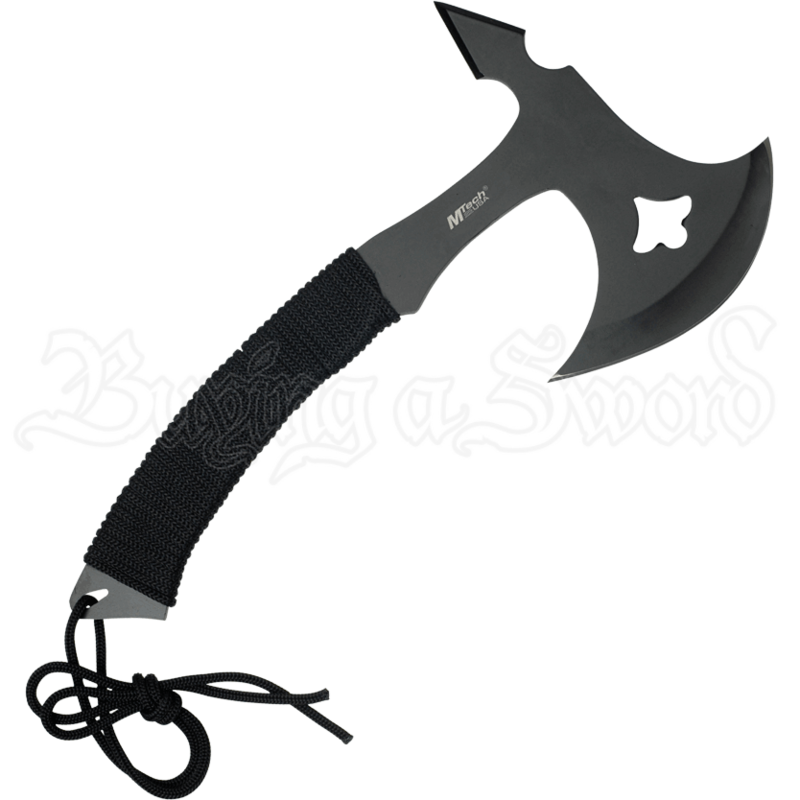 This Black Steel Combat Hand-Axe is a side-arm and multi-tool, serving the survivor in a variety of roles. Small size and a light weight make this a great choice as far as side-arms go, yet thanks to it being crafted in 440 stainless steel, it is still a rugged axe that will not fail in skilled hands. The axe features a crescent-shaped bit, which is suited for both slicing and chopping, while also featuring a decorative cut-out that helps to reduce the axes weight, without altering its strength. The reversed poll features a narrow spike that adds a second point of attack that works well on a come-back swing. The haft is wrapped in black cord to add some padding and grip to the weapon, allowing it to be handled with ease and comfort. The axe includes a nylon sheath for easy carrying and safe storage. 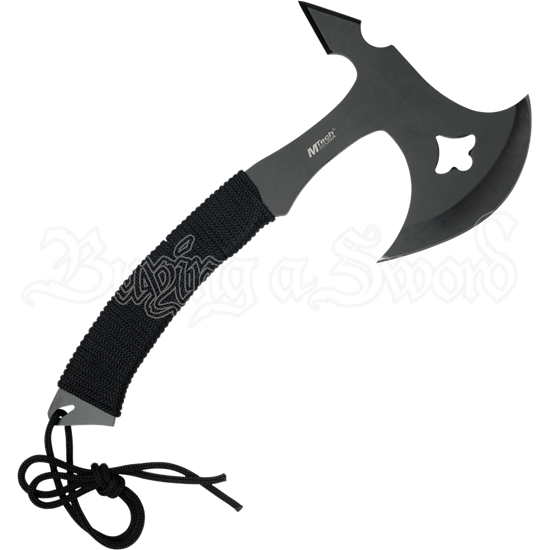 You will not regret carrying along this Black Steel Combat Hand-Axe, especially not when the going gets tough.